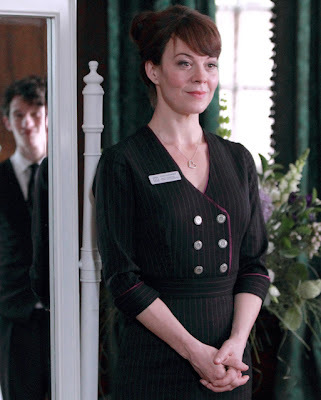 Written and created by acclaimed screenwriter Tony Marchant (Mark of Cain, Garrow’s Law, Holding On), award-winning actress Helen McCrory (We’ll Take Manhatten, Hugo, Harry Potter and the Deathly Hallows) with television newcomer Callum Turner bring to life this gripping character driven story about the complexities of love, family and growing up. The drama focuses on 25-year-old Aaron Simmons (Turner) who lives with his parents, Vanessa (Deborah Findlay) and Jim (Nick Dunning). He’s failed to find work since leaving university and - to cap it all - his ex-girlfriend Phoebe (Charity Wakefield) is about to marry his brother, Tom (Bart Edwards). Life’s not panning out the way he’d hoped. Julie Ranmore (McCrory) is 44, married and a mum of two, Maxine (Amelia Young) and Dean (Callum Austin). The passion has long since lapsed in her marriage to Michael (Sean Gallagher), but working in hotel events at a 4 star country house hotel in Cheshire gives her brief moments of joy in the romance of others. Julie stands quietly at the back of weddings, silently mouthing the vows she knows by heart, enjoying the vicarious thrill of seeing other people happy. When Julie first meets Aaron on the night of his brother’s wedding, he is drunk and miserable. Professional and with a degree of sympathy, Julie gets the night porter to take him to his room. Julie heads home to the everyday chaos of her family, unaware that this moment was the start to an unlikely relationship. The next morning, with a stinking hangover and the accompanying fug of self-pity, Aaron cuts a pathetic figure. It takes Julie, back on shift, to delivers some home truths – he needs a reality check. With those words ringing in Aaron’s ears, the wedding hardens his resolve to find work, leave behind his childhood bedroom, and turn things around. When a job comes up at the hotel, his mate Jonah (Gregg Chillin) cajoles him into applying. Now Aaron and Julie are working together every day. Although Aaron’s tasks are menial, he soon develops a rapport with his colleagues and Events Manager Hugh Patton (Celyn Jones) and begins to enjoy himself. Despite this, Julie keeps him slightly at arm’s length – perhaps suspicious that for Aaron this is just a passing job, a gap year of sorts, before he moves onto ‘bigger and better’ things. For her, this is real – this is her life. But Aaron genuinely starts to take pride in his work, and recognise the reasons Julie finds her job so rewarding. A bond begins to form and, one night, they share an intimate moment, which takes them both by surprise. What follows will have profound implications for both Aaron and Julie as they each come to terms with their actions. Produced by Juliet Charlesworth (Hit & Miss, Drop Dead Gorgeous, Clocking Off) and directed by Gaby Dellal (Angels Crest, On a Clear Day) Leaving also stars Sandra Huggett, Anna Koval, Hera Hilmar and Linzey Cocker. 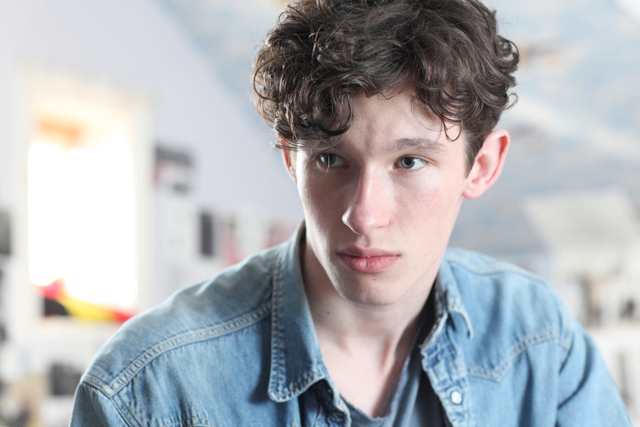 Leaving has been commissioned by ITV’s Director of Drama Commissioning Laura Mackie and Sally Haynes, Controller of Drama Commissioning, and is executive produced by writer and creator Tony Marchant and Nicola Shindler at Red Production Company.